Acne is a very common skin condition found in people of all ages. Usually occurring on the face, chest, and back, acne is often times very visible and can cause those suffering from it to experience embarrassment, depression, and low self-esteem as they search for effective acne remedies. Caused by sebaceous glands in the dermis that start working overtime due to hormonal changes, acne is the result of skin pores that get blocked with excess skin cells and sebum oil. Many may swear by the fact that regular facial cleansing and a good diet is all that is needed to keep it in check, but for some, such regimes simply do not work. So what do you do? Well if you don't want to take medically prescribed formulae, there are two other options to explore. One is by using readily available vitamin fortified skin creams and the other is to try out one of the many home remedies that have stood the test of time. 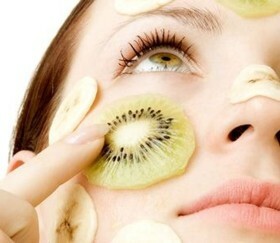 For example, vitamin C, which oranges are famously rich in, plays quite a crucial role in skin care. It is critical for the formation of collagen, one of the major components that makes up the skin and scientific studies have shown that the anti-oxidant properties of topical vitamin C creams can help reduce irritation and redness associated with acne scars, as well as rebuild collagen that has been destroyed. Toothpaste is a tried and tested home remedy that is great for isolated spot treatment as opposed to treating a larger area of cystic acne. Just apply a small amount to the offending pimple and it should assist greatly in the drying out process. Use standard toothpaste and not some funky 'whitening' or 'tartar control' brand. It might not sound appetizing but ingesting garlic has a good reputation for fighting of unsightly acne. If you can stomach it, eating a few cloves of raw garlic a day can show positive effects within a matter of days. If you prefer, you can get garlic supplement pills from a store but naturally they will take a longer time to show results. Since this is an inside-out approach, acne all over your body will benefit rather than just those areas where you apply a topical remedy. taking control of your life.